Here’s another recent review from my trip to NYC a few weeks ago. Of everything I tried during my stay in New York, this was my absolute favorite of the bunch. 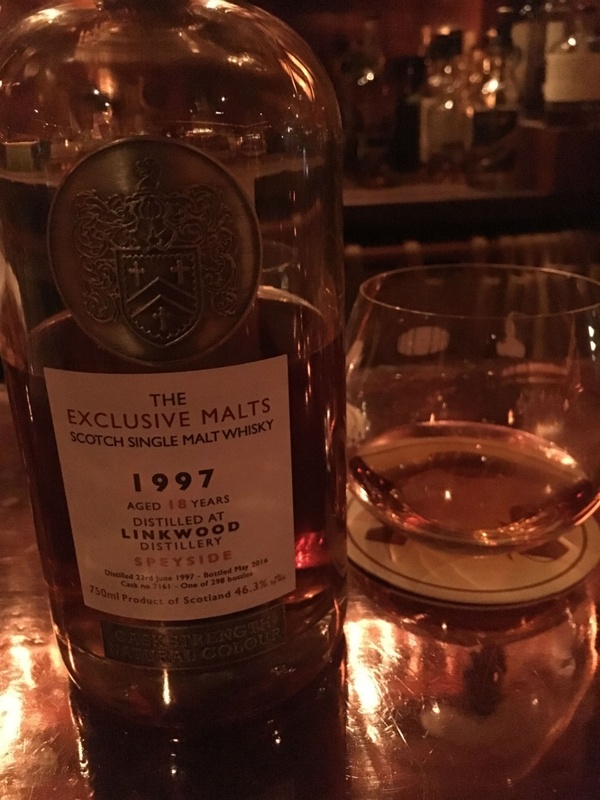 This Linkwood bottled by Exclusive Malts is from a single sherry cask. It was distilled in 1997 and aged for 18 years before being bottled in 2016. It clocks in at 46.3% ABV, sitting perfectly at the NCF threshold. It’s interesting that it dropped to under 50% ABV after 18 years. Greedy angels, eh? In any case, let’s get to it! Nose I'm really starting to get a feel for Linkwood's house style. Biscuits, jammy, red berries, merlot grapes, some oak in the background. A bit perfume-y after some time. Taste Juicy, baking spice, Sherry, prunes, if bottled cherry juice was a thing…bottled cherry juice, lots of raisins, raspberry coulis, tannins, syrupy. Finish Spice comes crashing through at first followed by vanilla, cherry cough drops, and some mellow oak. Some overripe banana and caramel follow. Decent length. Overall Thoughts Sherrybomb. Linkwood. NCF. What more can I ask for? This is a distillery that never disappoints no matter how many different expressions I try.